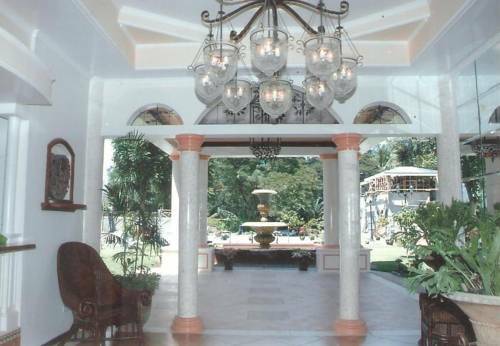 Chateau del Mar Resort and Spa is a charming seaside boutique hotel that provides travelers and transients nice, clean, and comfortable accommodations, complete with all the amenities and conveniences of home right in the midst of towering coconut trees and lush greenery with a commanding view of the Gulf of Davao and the beautiful island of Samal. 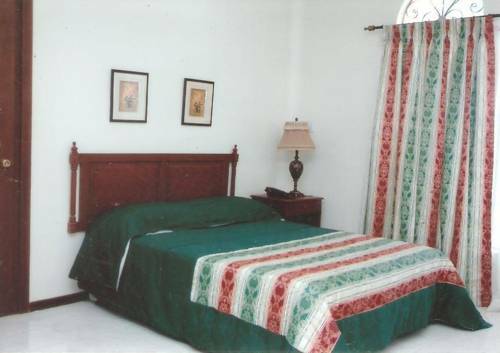 The Hotel features 22 beautifully furnished guestrooms meticulously designed to provide guests utmost comfort during their stay in the hotel. 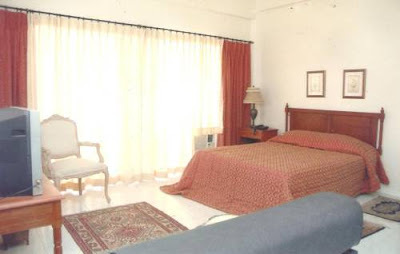 Each suite is fully air conditioned, with living and dining areas and a kitchen complete with utensils and cookwares including a refrigerator, and is furnished with a contemporary bed for single or twin sharing, cable TV, telephone system, and a private toilet and bath with hot and cold showers. Ambassador Suite is about 43 square meters, and comes with either one or two bedrooms with living and dining areas. 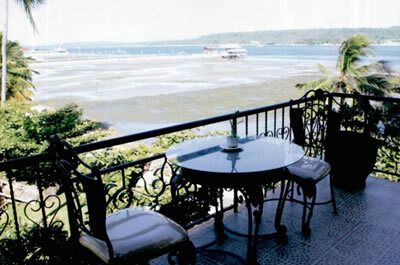 Miramar Suite is a beautifully designed suite that comes with dining and kitchen areas and a balcony overlooking Samal Island. 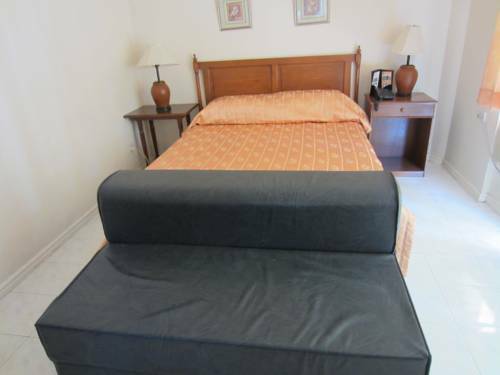 Del Mar Suite is a fully furnished studio-type room, about 33 square meters, with a spacious kitchen area, complete with utensils, dinnerware, and cookwares. Gardenia Suite is a beautifully designed single bedroom complete with comfortable contemporary bed and furnishings. 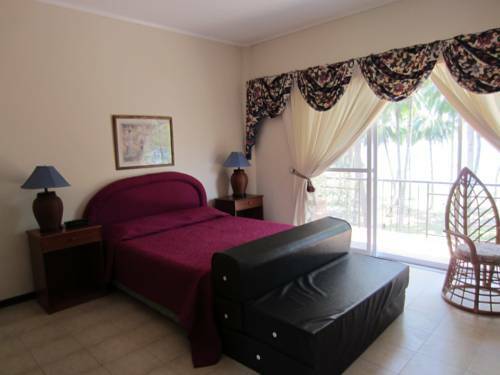 The Hotel provides a 24-Hour front desk and room service, laundry and ironing services, spa services such as jacuzzi, sauna and massage, and also airport transfers, free Wi-Fi Internet access, and parking. 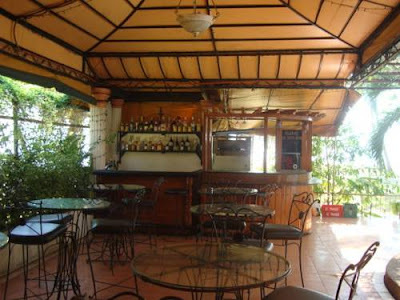 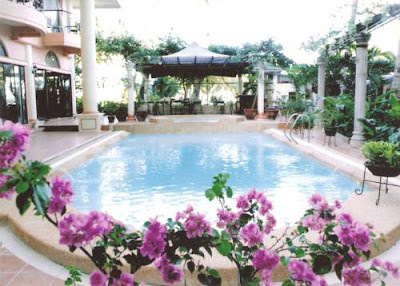 Facilities include a bar and restaurant, a coffee shop, a Karaoke room, an outdoor swimming pool with Cabanas, function areas for meeting and banquet services. 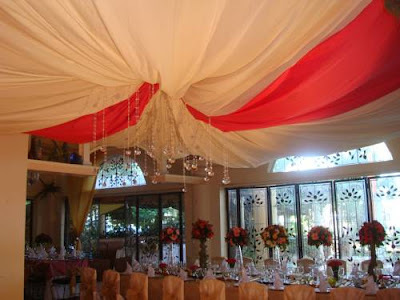 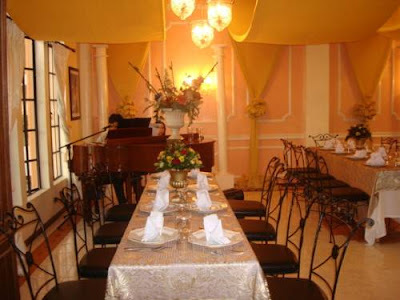 The Hotel also provides monthly condo rentals for transients and a function area for private parties, anniversaries or family reunions as well as for business events such as meetings, seminars, etc. Check-In time is 2 PM and Check-Out time is 12 PM. 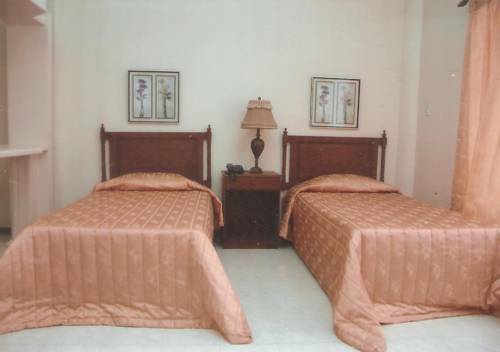 The Hotel accepts major credit cards but are subject to pre-authorize credit upon arrival and checking in the hotel. 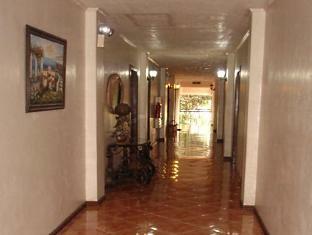 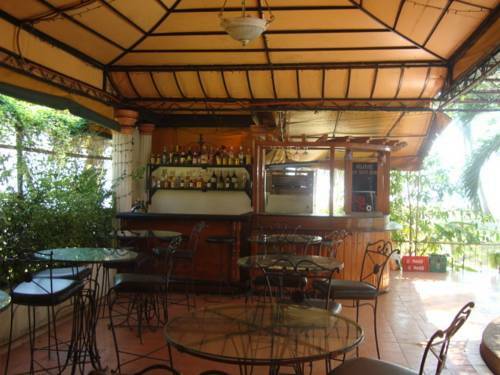 The Hotel is conveniently located in F. Lizada Drive, fronting Lizada Beach in Lanang, Davao City. 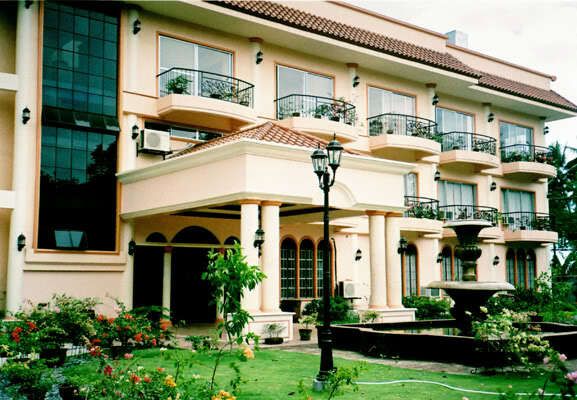 It is easily accessible by private and public transportation, and is about 10 to 15 minutes from the Davao International Airport. It is close to Abreeza Ayala Mall and Victoria Plaza Mall and to several commercial establishments, dining and entertainment areas, and is about 10 minutes drive to the downtown area.